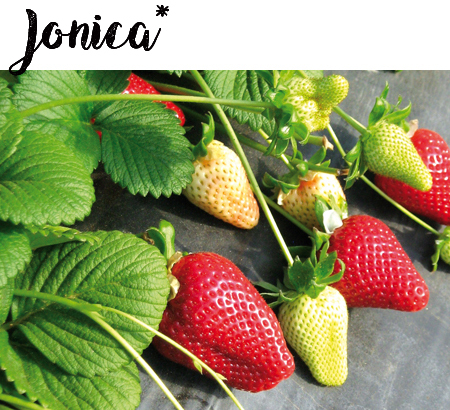 New short-day CULTIVAR, suitable for Mediterranean areas (with low chilling requirement) with early ripening (before Candonga® Sabrosa). The PLANT is medium vigorous, compact habitus and high productivity. The FRUIT is medium-large, red, very uniform, bright, conic and regular for great fertility of pollen. Particularly characteristic is that the red fruit keep its white petal in winter. The FLESH is compact with high level of sugar and long "shelf-life". It is suitable both for use of fresh plug plants and bare root fresh plants.